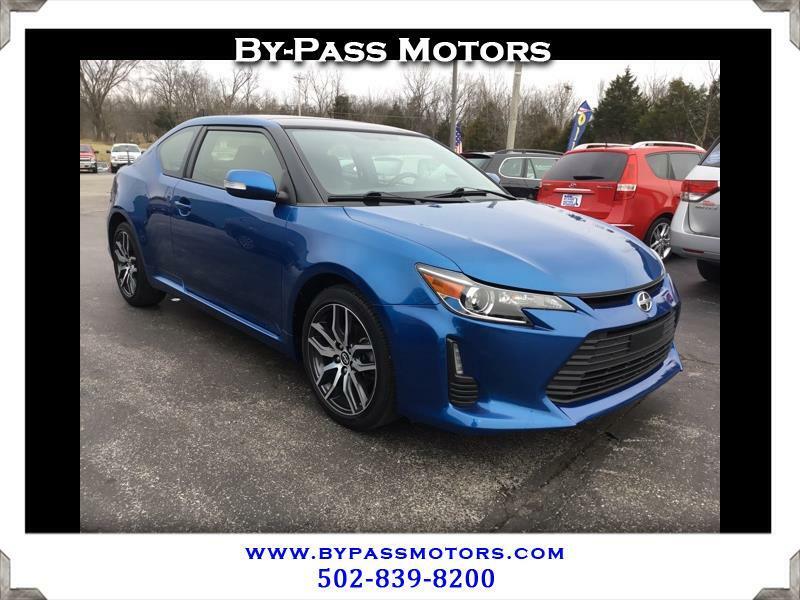 Used 2016 Scion tC Sport Coupe for Sale in Lawrenceburg KY 40342 By-Pass Motors, Inc. Check out this super clean ONE OWNER off lease Scion TC!!! This has gorgeous bright blue paint and carpets so fresh that you could eat off of them!!! Equipped with a nice sporty alloy wheel, touch screen radio, huge sunroof, and SO MUCH MORE. We have performed a complete service on this vehicle and that insures that when you drive this vehicle off of our lot it needs nothing. We have been in business since 1989 with an A+ rating with the BBB!!! We are a small staff and ask that you call ahead to schedule an appointment to insure that we handle all you car buying needs!! !